• Increase their athleticism and build explosive power so they will gain respect from their coaches that they deserve. • Increase their coordination and agility so they can move quickly from side-to-side while changing directions. This means they will get up and down the court better or be able to play better defense on the field. • Improve their speed so they can run as fast as possible. Speed kills and often times is the deciding factor in a game or contest. • Bulletproof their body from any possible injuries so they can stay healthy all season long. • Improve their self-confidence & self-esteem on and off the field. Kids with better self-confidence and self-esteem, get better grades, have better behavior and are more likely to be leaders on and off the field. Here at GameChanger, what we do is about much more than just getting your child, bigger, faster and stronger. What we really focus on is improving their self-confidence & self-esteem. 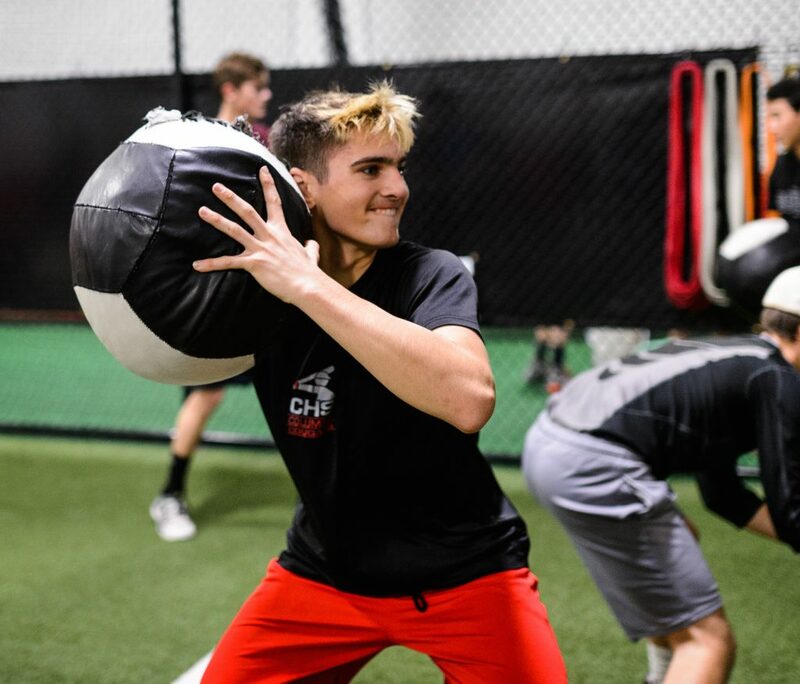 Our GameChanger Core 4 Principles are about empowering young athletes to reach their full potential not only in sports, but also in life while instilling a sense of self-confidence, commitment and dedication. Principle # 1: Hold yourself accountable. This principle is about taking an ownership mentality in everything that you do. One of the biggest lessons we teach kids is that you’re 100% responsible for your own success in life. And this starts with taking ownership over your personal development not only in sports, but also in the classroom and everyday life. Principle # 2: Respect everyone & everything. Teaching our athletes the value of sportsmanship and respecting their teachers, coaches, parents, peers, teammates & family members is essential. We lead by showing others the respect that they deserve, even if they have wronged us. Principle # 3: Work Hard. Most worthwhile things in life do not come easy. They come through hard work, dedication and a commitment to excellence. If you’re going to put the time in to better yourself, you need to make the most of that time and not simply go through the motions. While showing up is half the battle, it’s not enough. In sports and life, there’s many things that you can’t control, but what you can control 100% of the time is your work ethic and the effort you put forth. Principle # 4: Have Fun! The last principle of the Core 4 is to have fun! One of our main goals as coaches is to show young athletes that working out is fun! If you’re not enjoying the process of training with us, then you are not in the right place. We believe you should enjoy every minute of your GameChanger experience because not only will it help you achieve your goals, but it will also set the foundation of good habits for the rest of your life. Getting started at GameChanger is simple and easy. It all starts with a free trial workout. The workout is 60 minutes long and is broken down into 3 steps. Goal Setting: In order to know how we can help your child, we need to know what they want to achieve. During this step we’ll also learn what other sports they play, instruction they have received, past injuries as well as other relevant information. 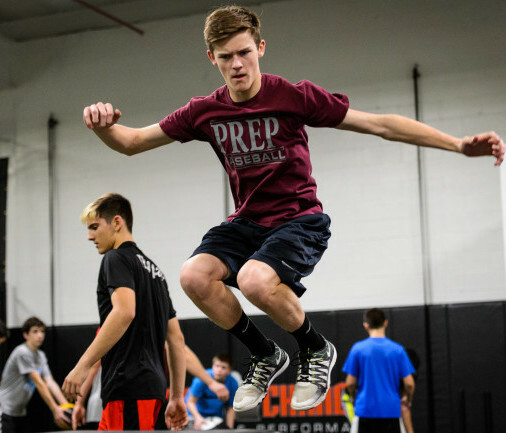 Athletic Performance Evaluation: The bulk of the session will be assessing their current level of fitness through various drills & exercises that will test their speed, agility, strength & flexibility. These drills & exercises will reveal your child’s strengths as well as their areas that need improvement. Immediately following the session or the next day, we’ll go over exactly what they did & how your child performed. We’ll also go over exactly what your child needs to do in order to achieve goals. Lastly, we’ll recommend which membership will be best for your child to get started with us. 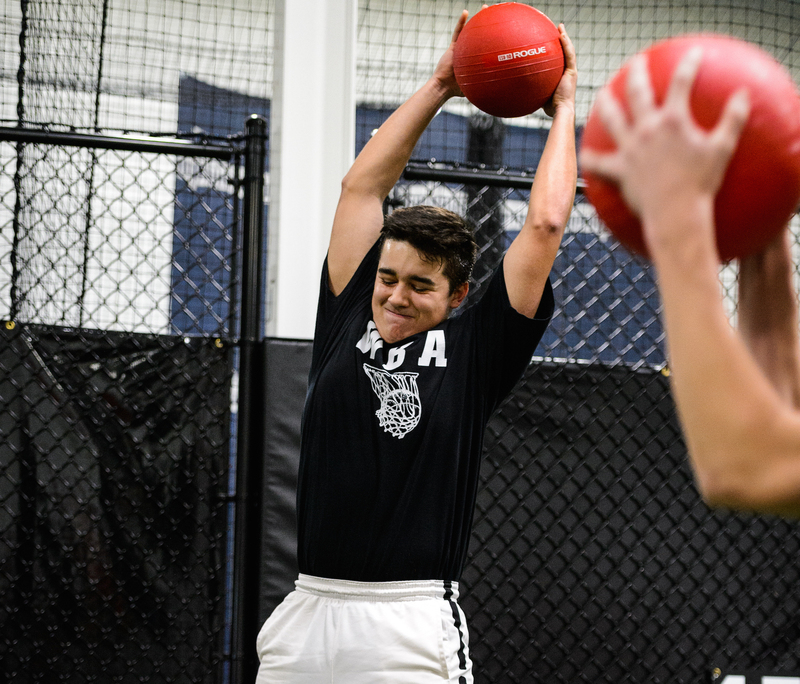 We’ve got classes that will work with even the busiest student athlete’s schedule. We’re here 6 days a week – afternoons & evenings during the week, and mornings on each Saturday. If you want to help your child become faster, stronger, & more powerful, or if you just want to help them gain confidence & authority, there’s no more perfect time to get started than now. Click the button below and we’ll set your child up with a free trial workout here at GameChanger! "I went from being a 160-pound ‘fat kid’ two years ago, to currently weighing 190 pounds and being the leanest I’ve ever been in my life. Not only has my overall physical fitness improved but also my skills on the baseball field have improved, too." "It’s taught him how to train hard for improved performance in sports and that being physically fit makes you a better more confident human being and competitor. It has also taught him concepts like self-esteem, routine, commitment, dedication, and hard work." "I mentioned to him after his basketball game this past Saturday that I noticed he was getting higher elevation especially with his rebounds. He told me that he’s been doing specific exercises to increase in that area!" A: This program is specifically designed for boys & girls, ages 9 – 13, who want to build self-confidence, self-esteem & better nutritional habits. Our main goal of this program is to show young boys & girls that working out is fun and it will set the foundation not only for sports but for the rest of their lives. A: We only allow 16 athletes in the gym at any given time and for every 6 – 8 athletes, we have 1 coach on. This means your child will be working in a small group of 6 – 8 athletes with their coach, so they’re getting individual attention and we can coach them just a like personal session. A: These sessions are ongoing and you can start at anytime. All you need to do is set-up your free assessment to get started. agility training, power development, strength training & conditioning. A: Our facility is conveniently located at 21 Fadem Road in Springfield New Jersey. We’re minutes from Westfield, Mountainside, Cranford, Scotch Plains & Summit. Fadem Road is right off of Rt. 22 E, right in-between Staples & the old AAA. You’ll make a right onto Fadem road, go past the first intersection (Fadem Road & Diamond Road) and turn left into the first driveway. You’ll then drive about halfway down until you see our facility on the left hand side. designed for their current level of fitness. So regardless if they are new to training or has done other programs in the past, we will give them exactly what they needs. and have individual conversations with athletes about the importance of nutrition and what changes they are working on. We will provide your child with nutrition guidelines that will help instill good nutrition habits for your child. A: Parents often tell us they see results in within the first two weeks. While your child will see some quick results, it’s important to realize that this is a long term process and in order to reach their maximum potential, they needs to commit to training. A: We create “Athlete Specific” programs. If I have two athletes who play the same sport & the same position – that doesn’t mean they will have the same program. Each athlete has individual needs and come in at various starting points. While the sports they play is a consideration in designing their program, we focus the design on their program around the individual athlete – not sure the sport they play. Still not sure if GameChanger is right for your child? Try out of our workouts to see if we’re the right fit for you guys. It’s on us – 100% free. Just click the button bellow to get started.